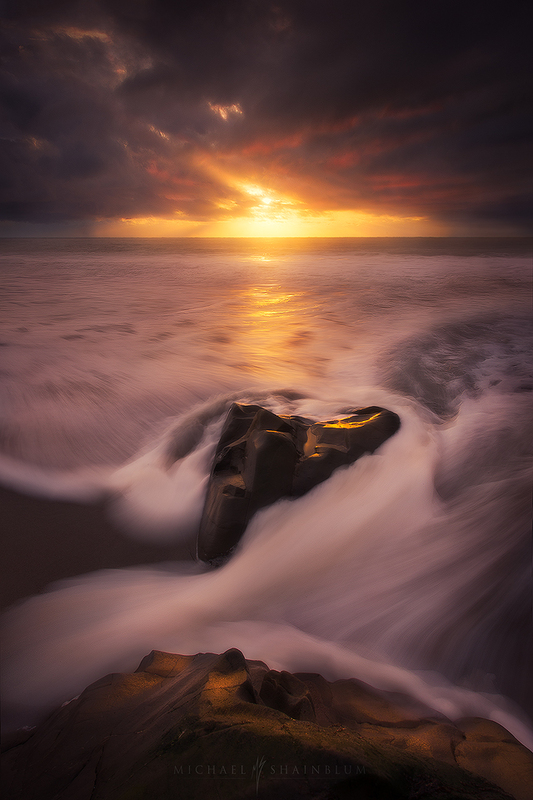 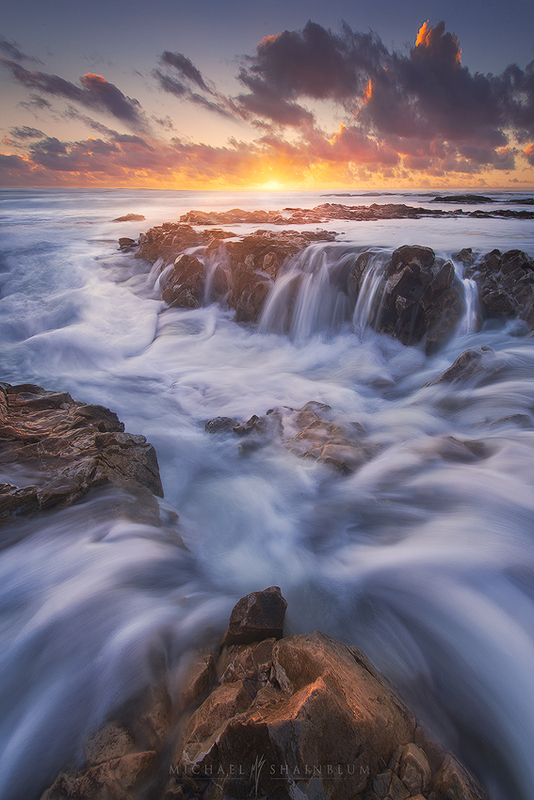 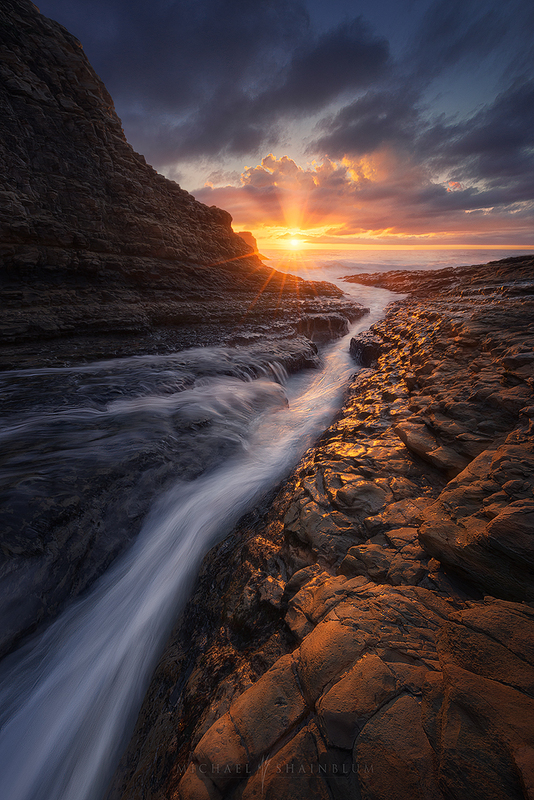 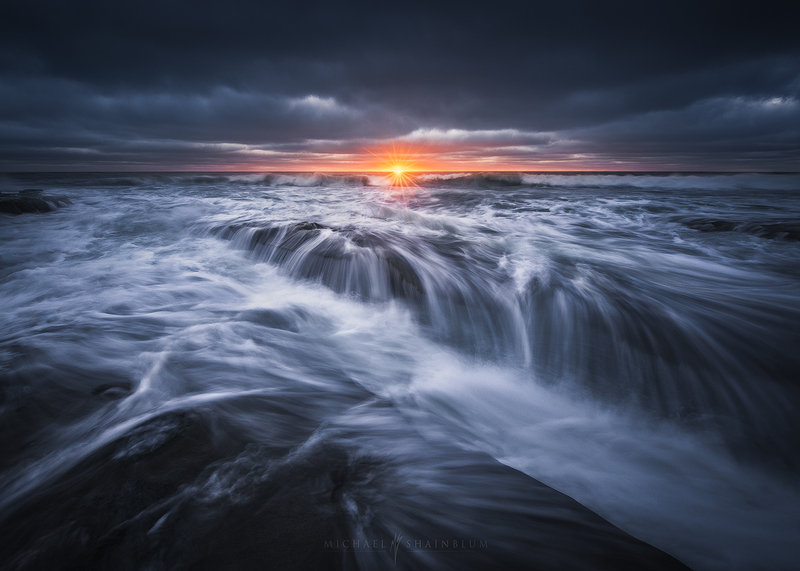 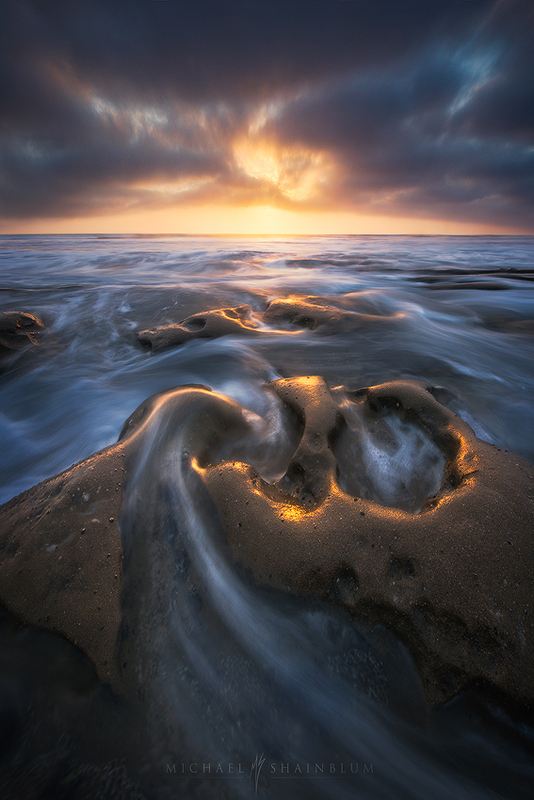 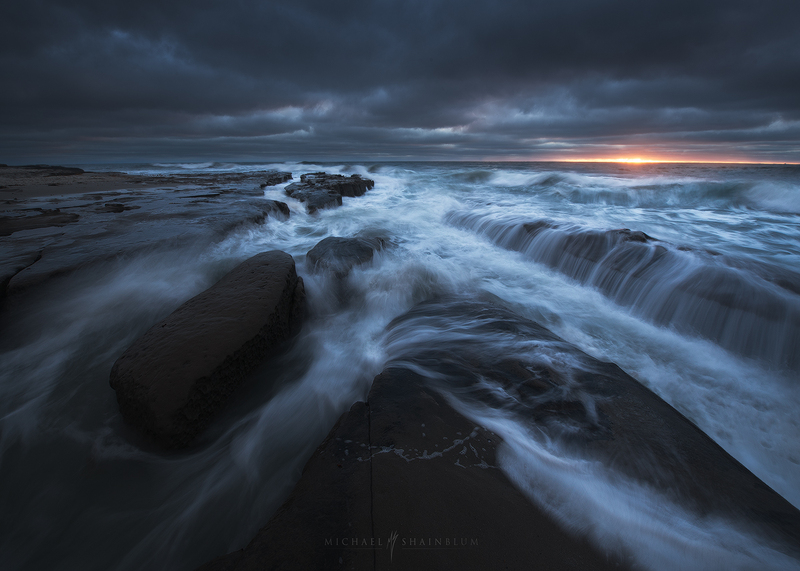 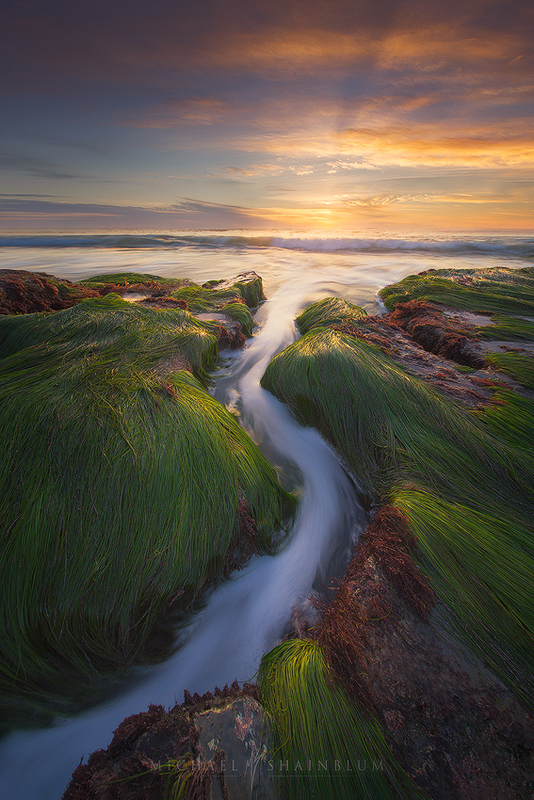 Oceans and Coastlines Landscape Photography Gallery by Michael Shainblum. 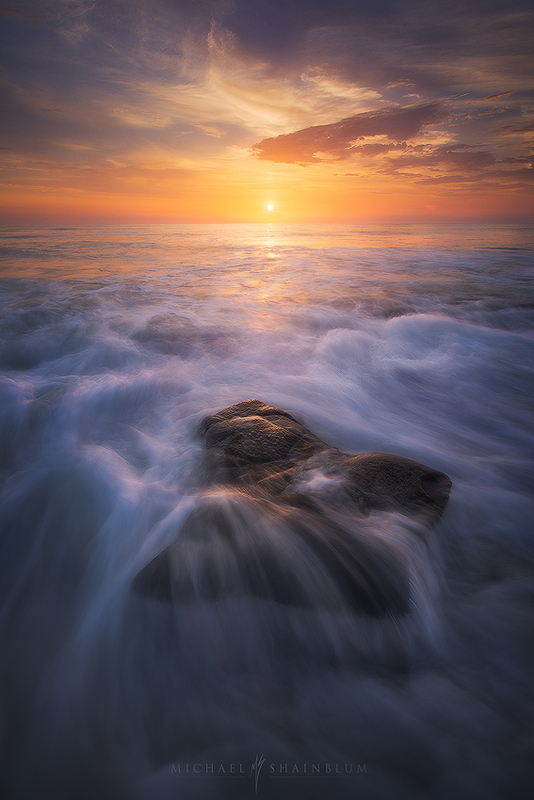 To buy prints from this seascape photography click here. 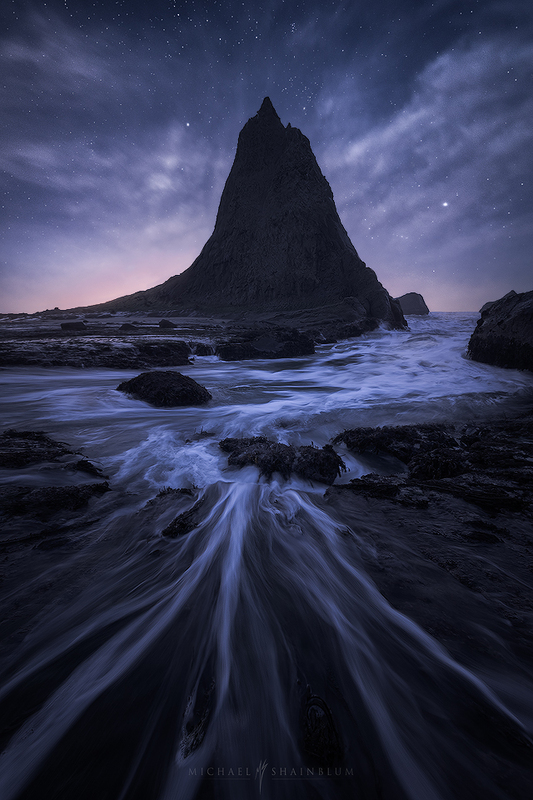 If you are curious about my processing techniques for these images you can check out my Seascape processing tutorial here. 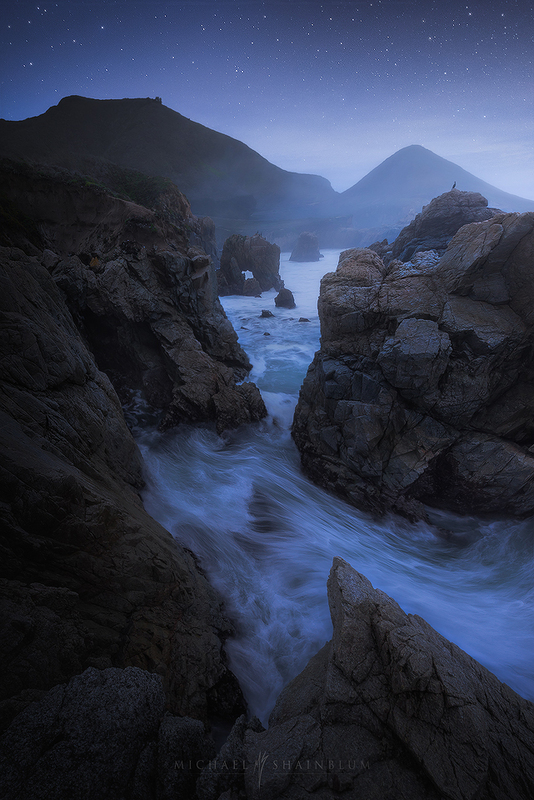 Taken at Sutro Baths in San Francisco. 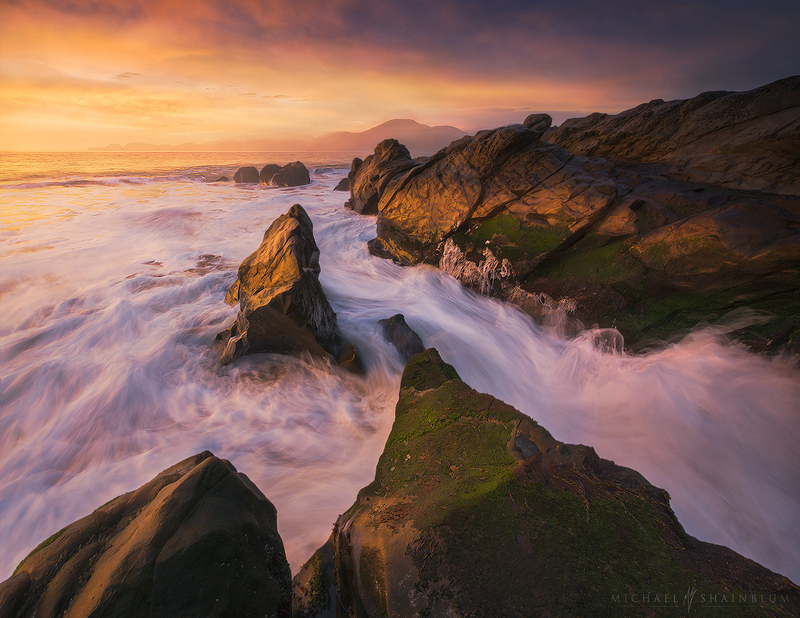 San Francisco Baker Beach seascape coastal photo. 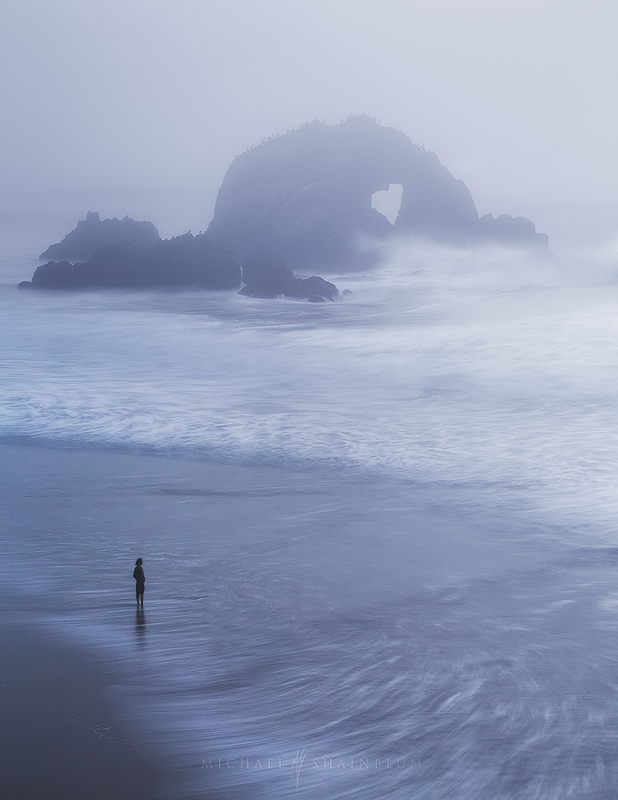 San Francisco Sutro Baths portrait on a foggy day. 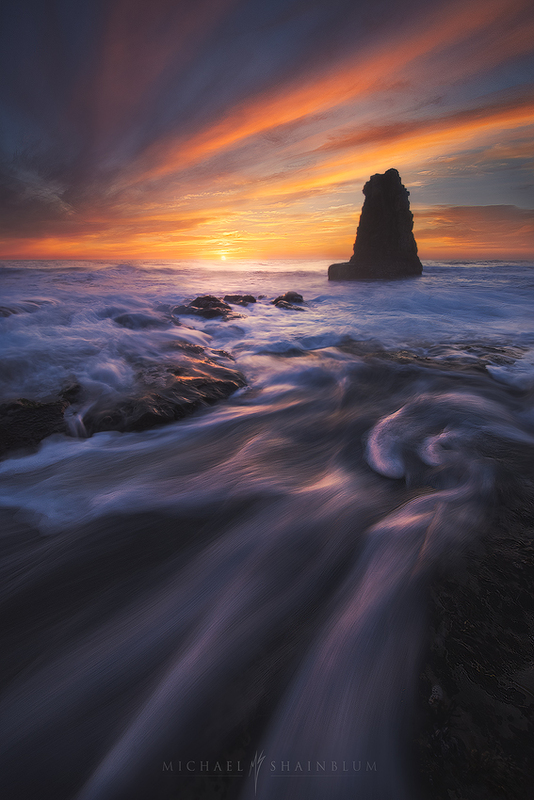 Rodeo Beach during sunset in San Francisco. 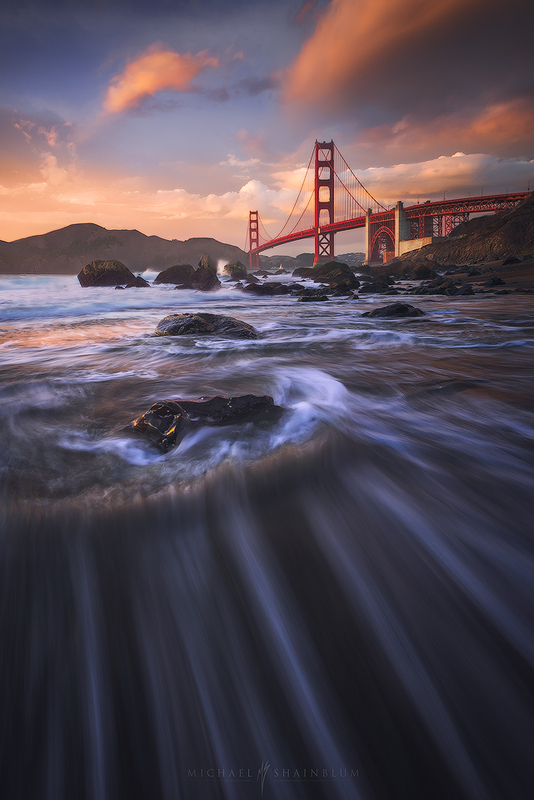 Golden Gate Bridge photo taken at Marshall’s Beach/ Baker Beach. 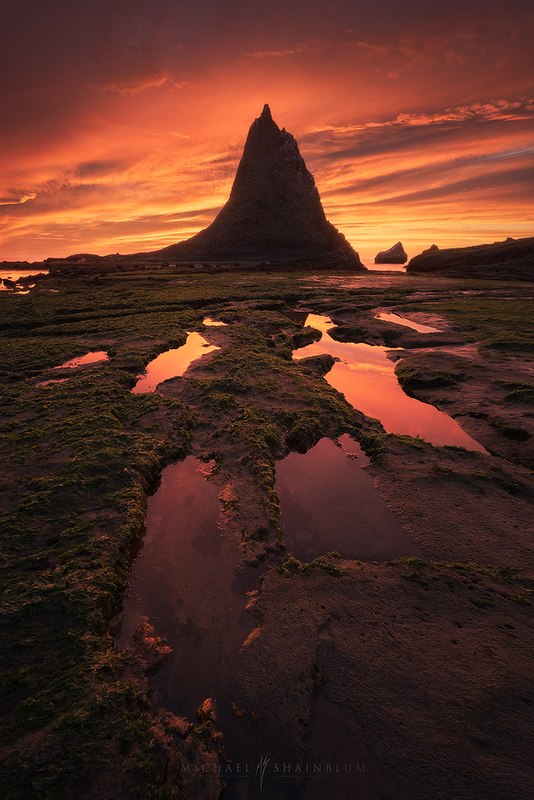 In San Francisco California. 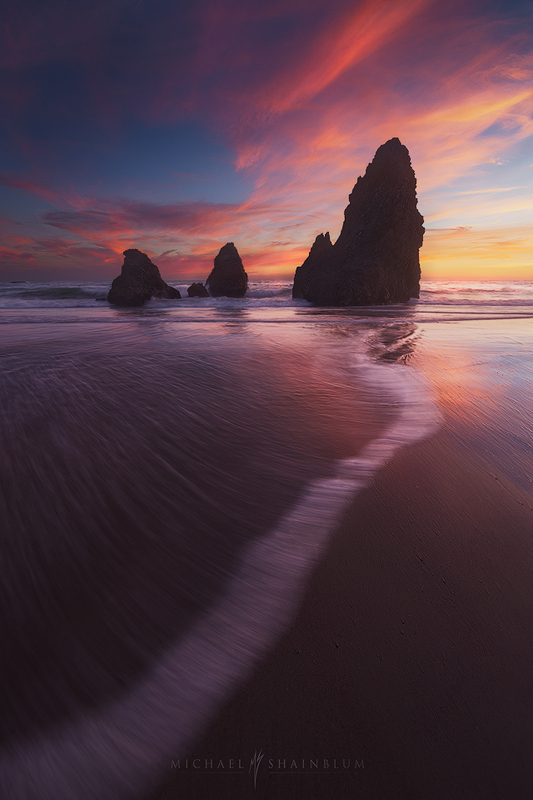 Martins Beach during sunset in Half Moon Bay. 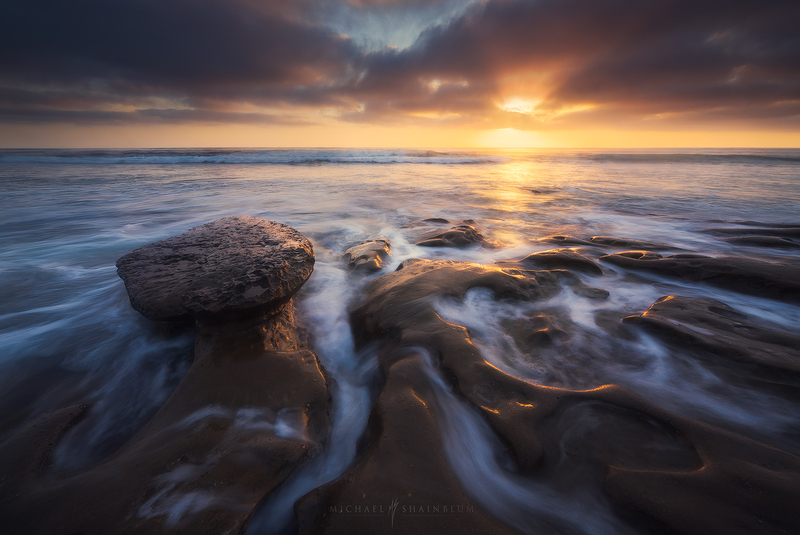 Seascape image taken in San Diego California. 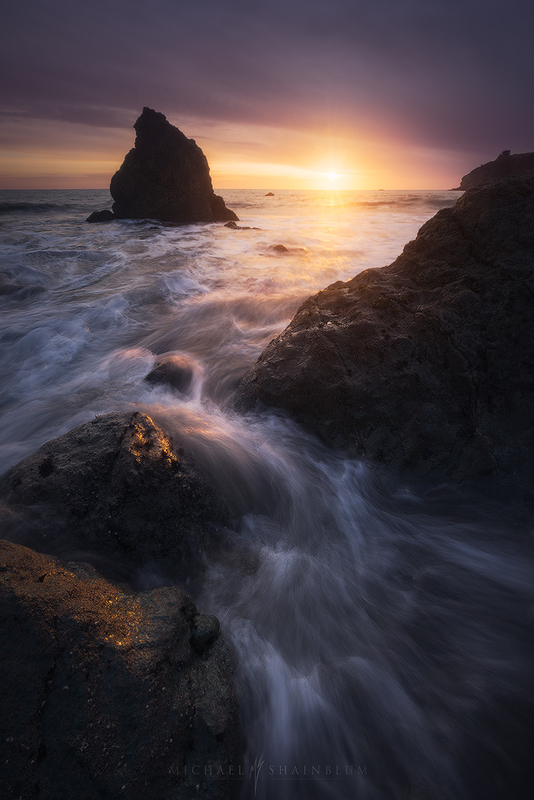 Sunset at the beach in Davenport California. 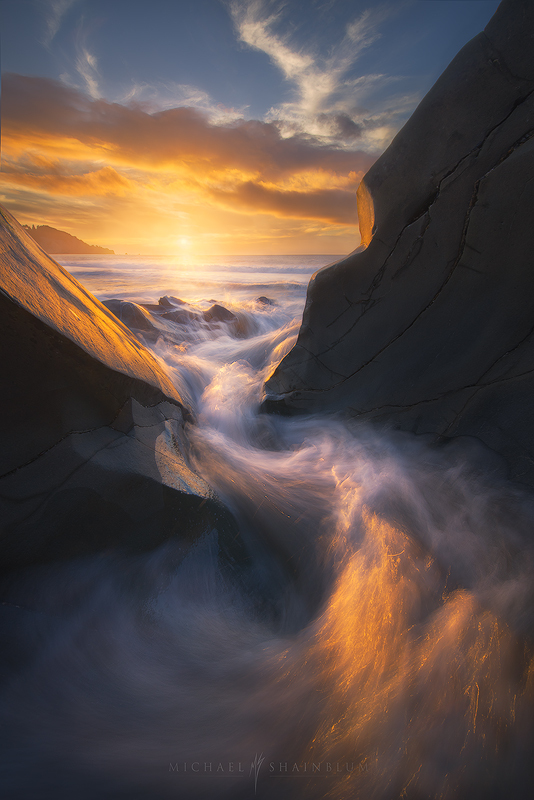 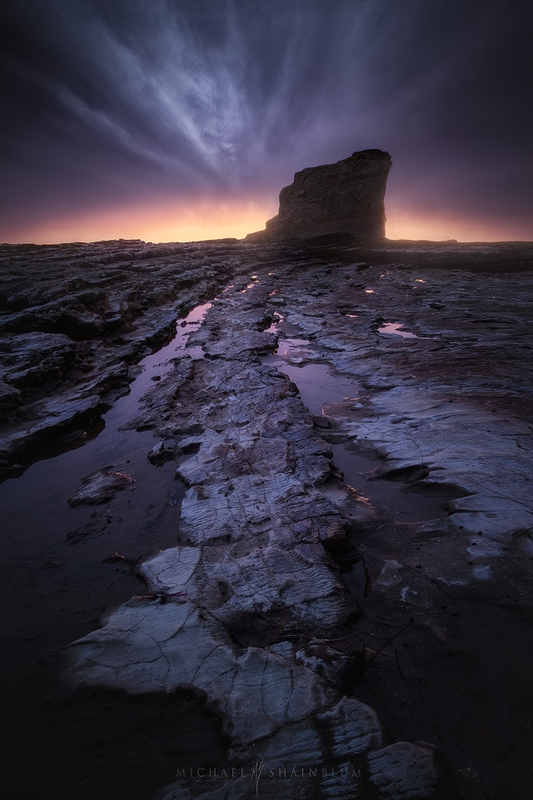 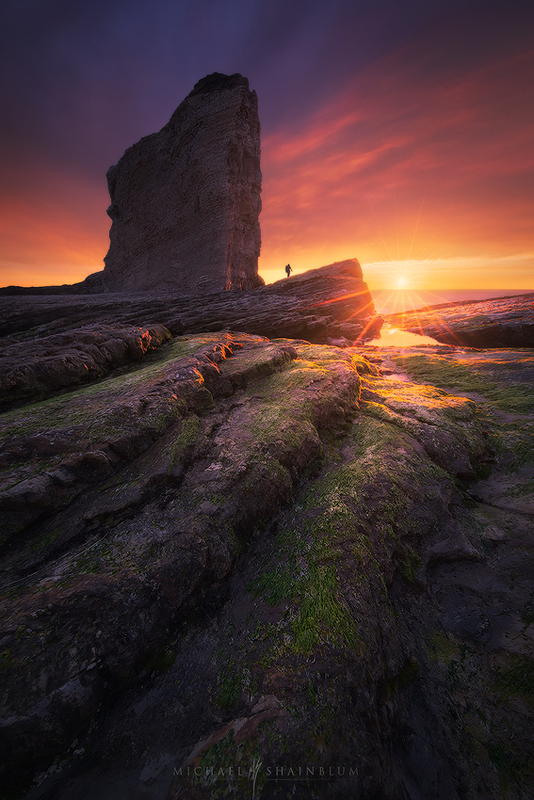 The Davenport crack at sunset in California. 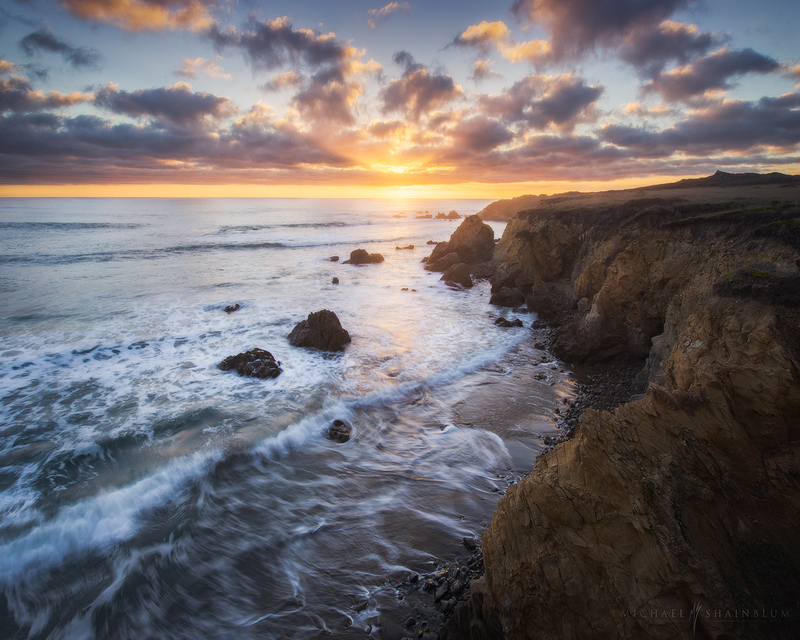 A coastal seascape sunset from Half Moon Bay near San Francisco California. 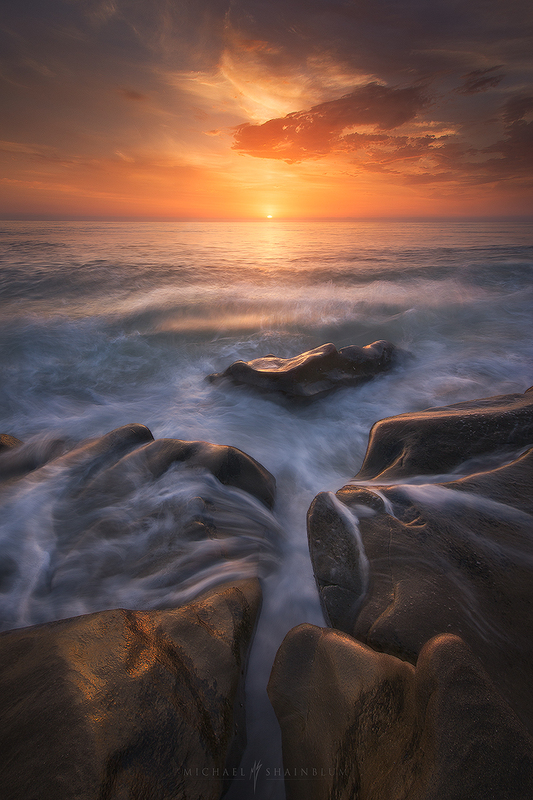 Taken at the La Jolla Coves in San Diego California. 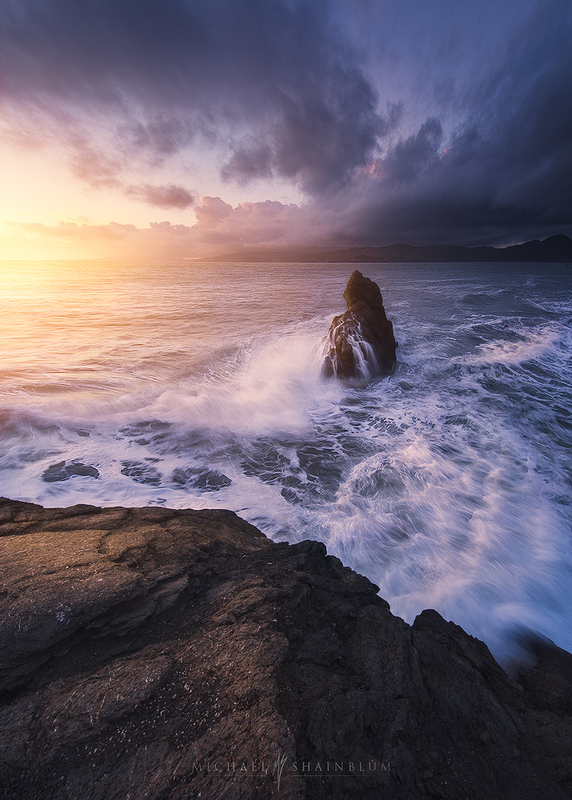 A coastline seascape taken at Sutro Baths in San Francisco California. 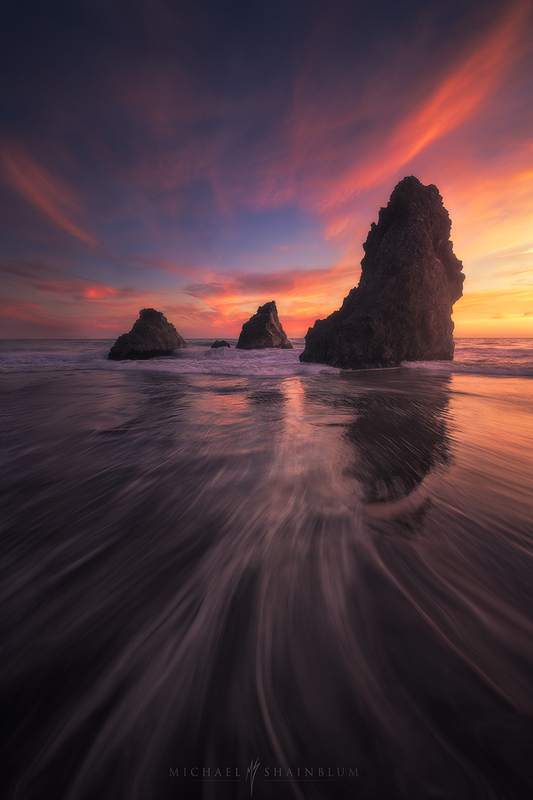 Baker Beach San Francisco Seascape. 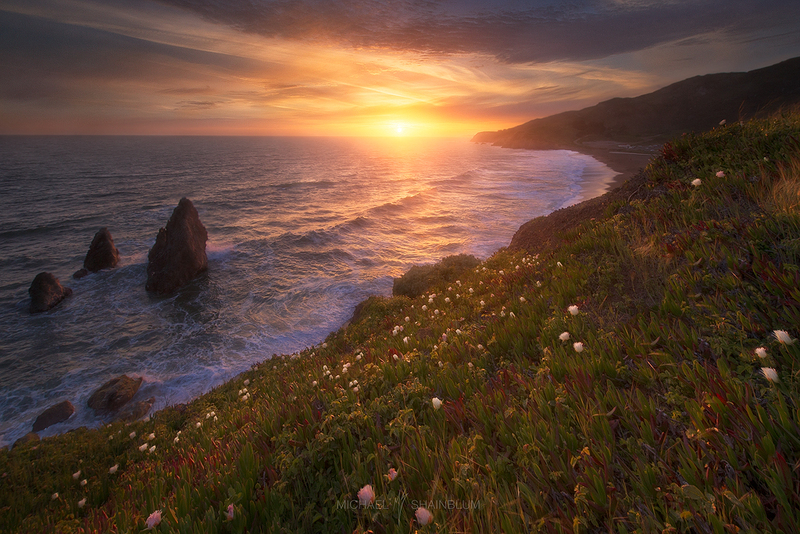 A sunset coastal image taken at Lands End in San Francisco California. 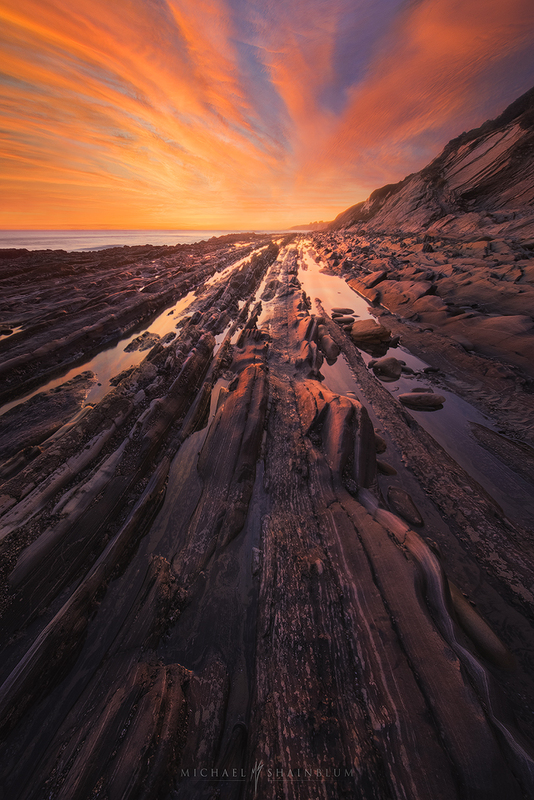 A coastal image from La Jolla Coves in San Diego California. 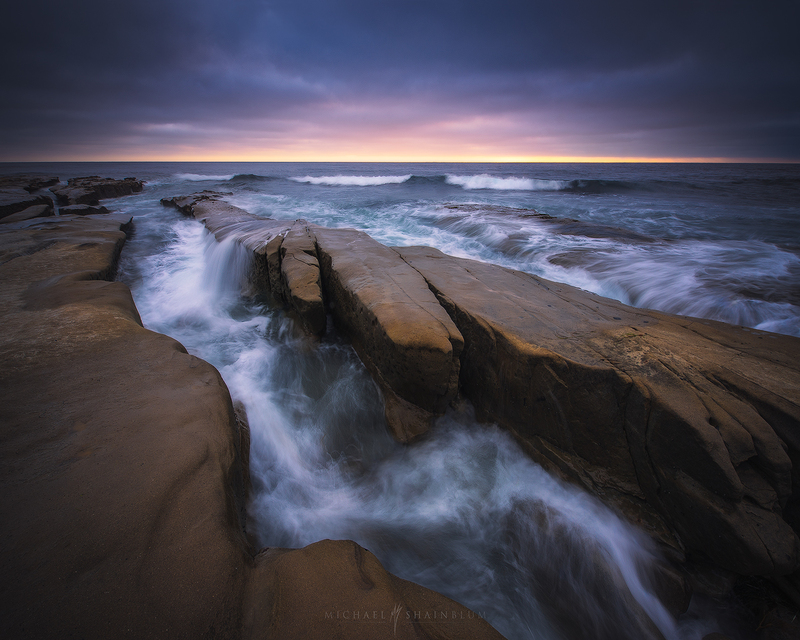 A dark moody sunset taken at the La Jolla Coves in San Diego. 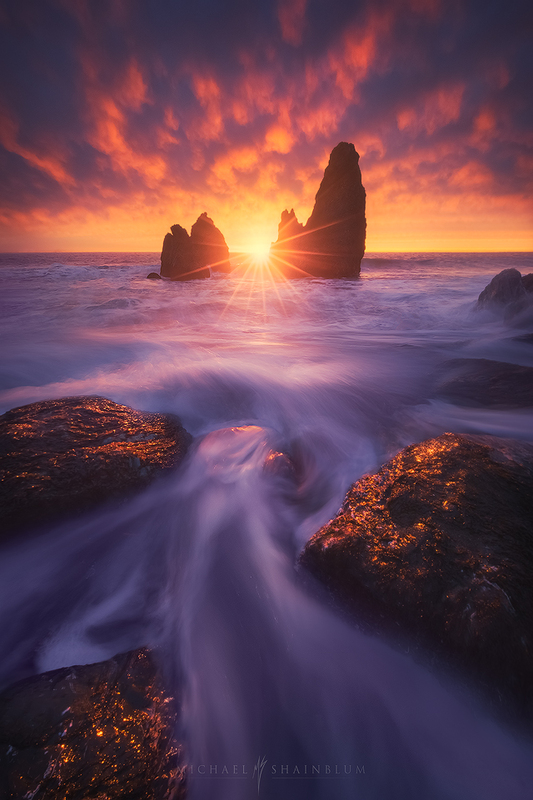 A vivid sunset on the coast of California. 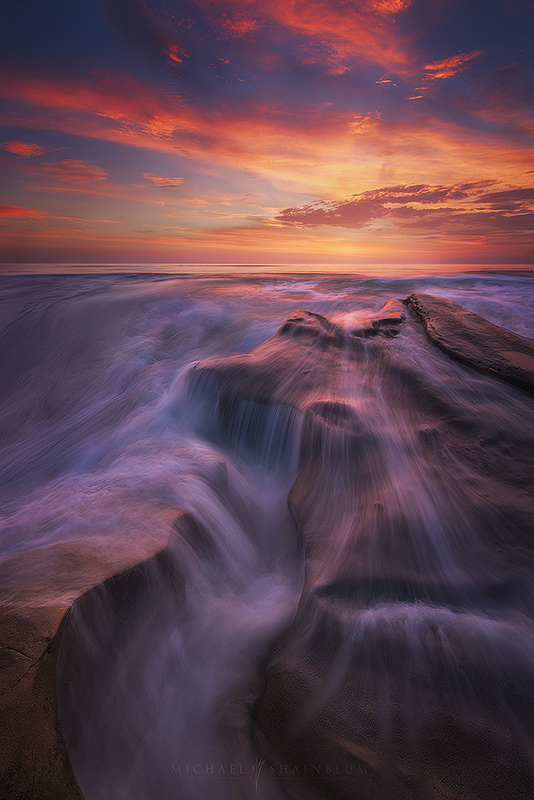 Taken at La Jolla Coves in San Diego. 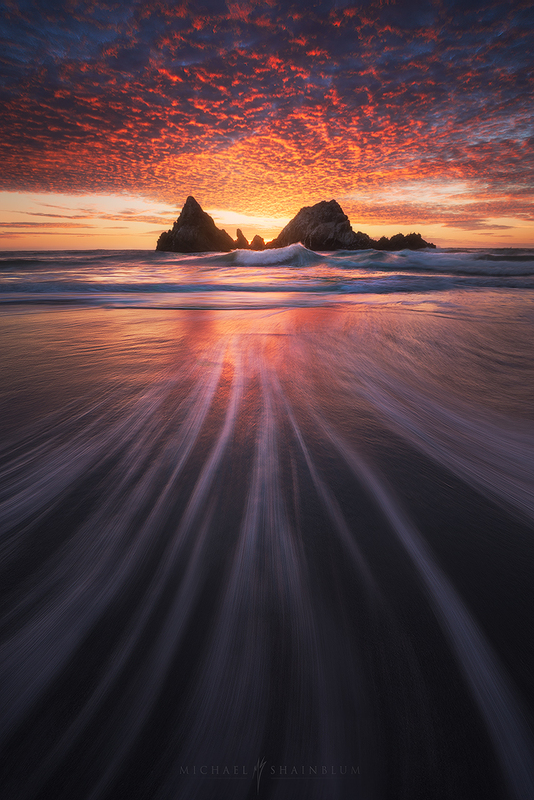 Rodeo Beach at sunset in San Francisco. 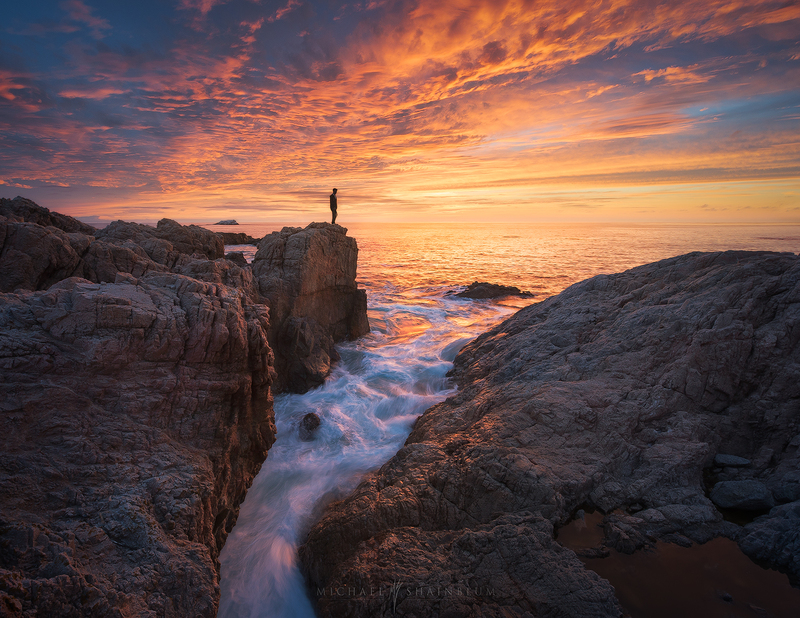 Exploring Big Sur during sunset. 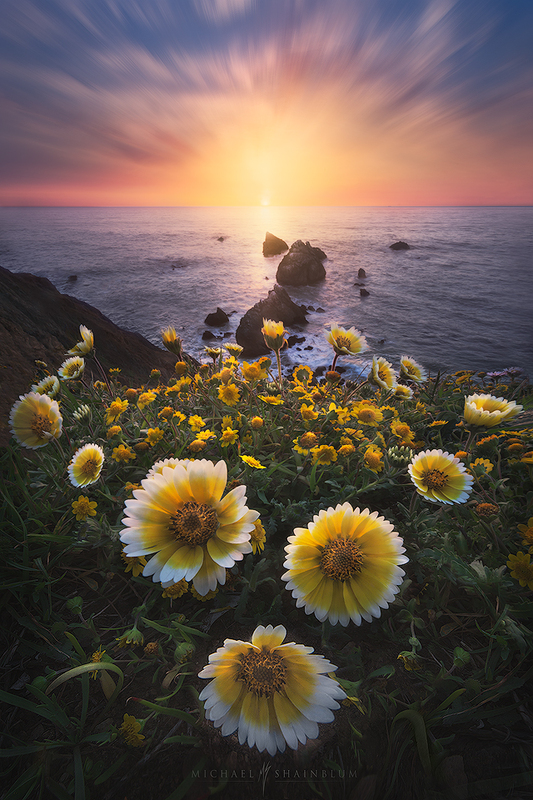 Rodeo Beach cliffs and flowers. 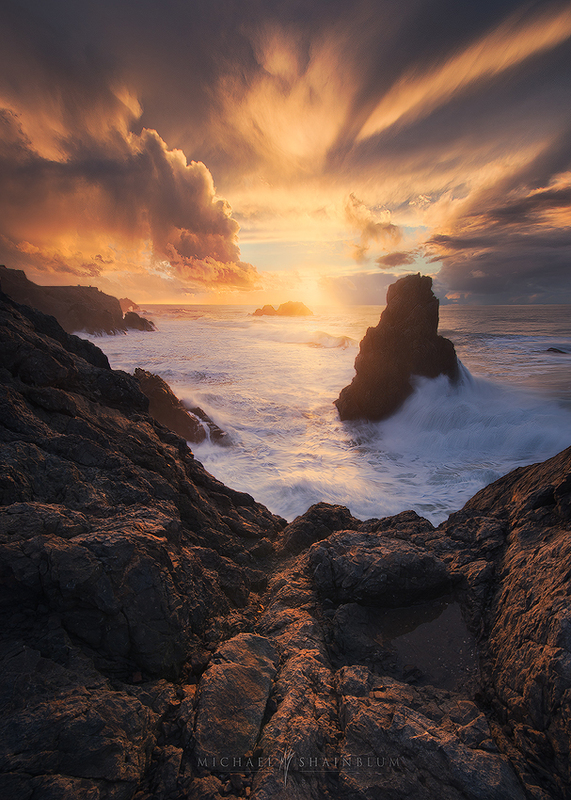 Seascape image taken at Lands End in San Francisco California. 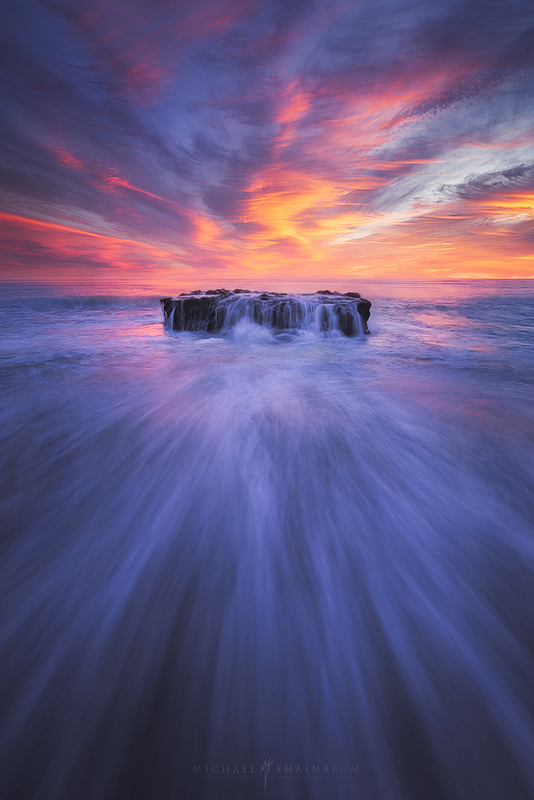 Sunset Cliffs Seascape in San Diego. 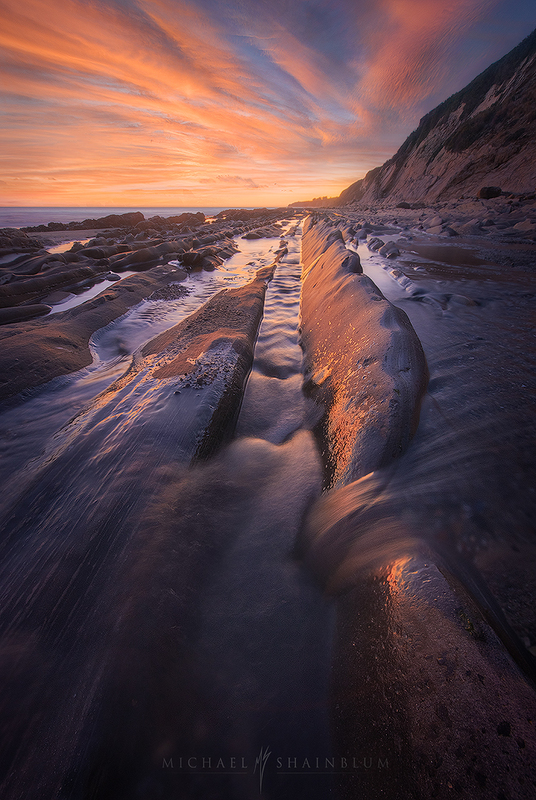 Coastal Tide image taken at La Jolla Coves in San Diego California. 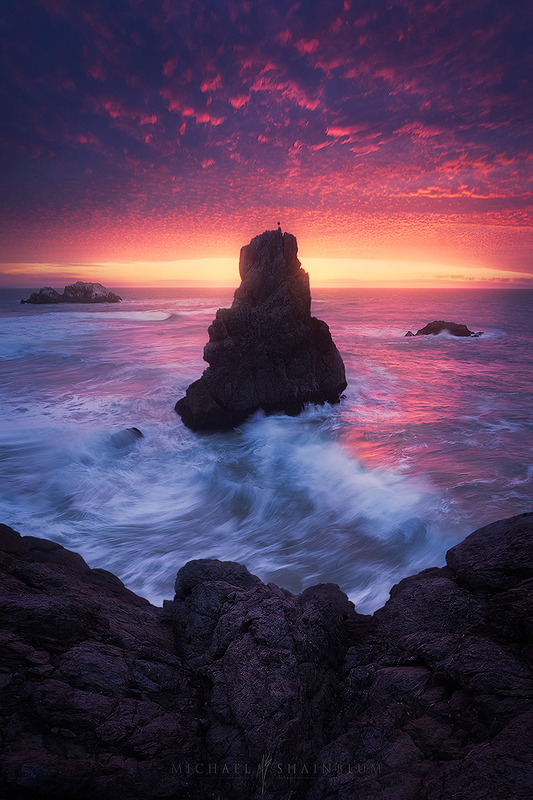 Lands End in San Francisco during sunset. 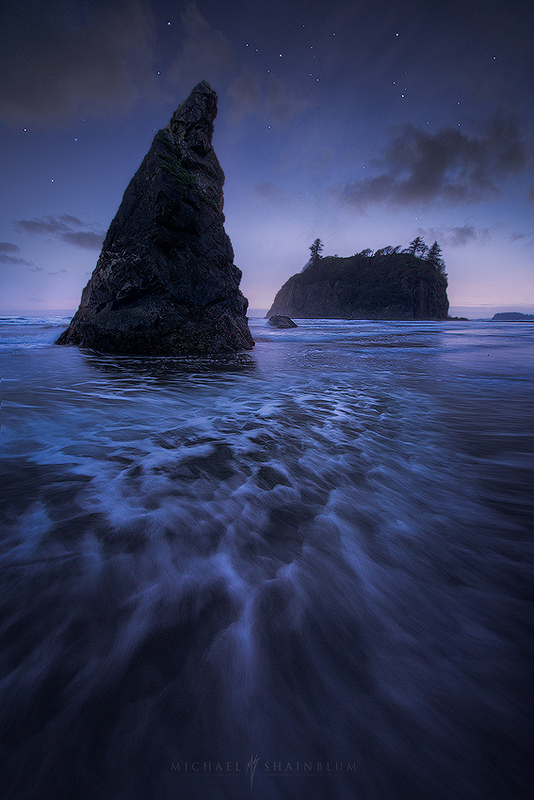 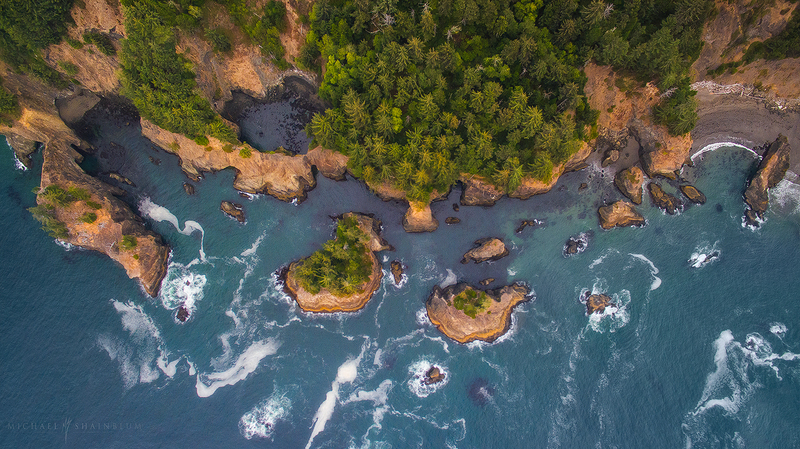 Ruby Beach in the Olympic Peninsula of Washington. 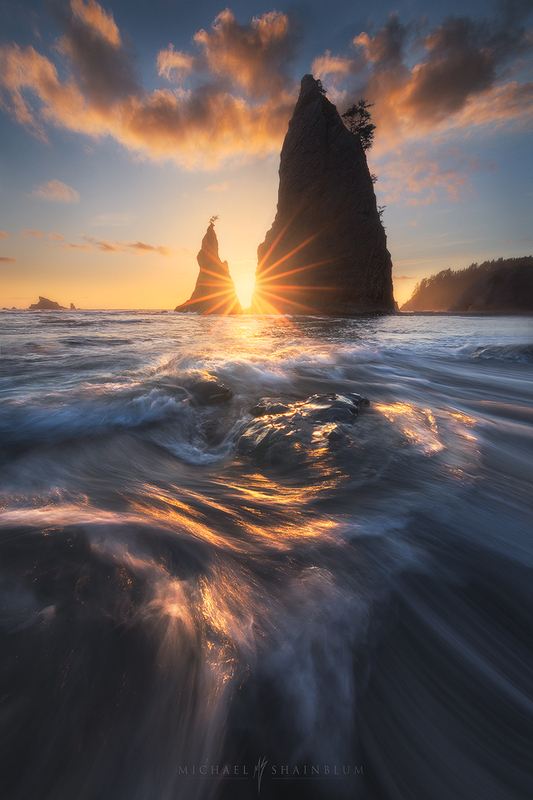 Taken at Rialto Beach in the Olympic Peninsula of Washington during sunset. 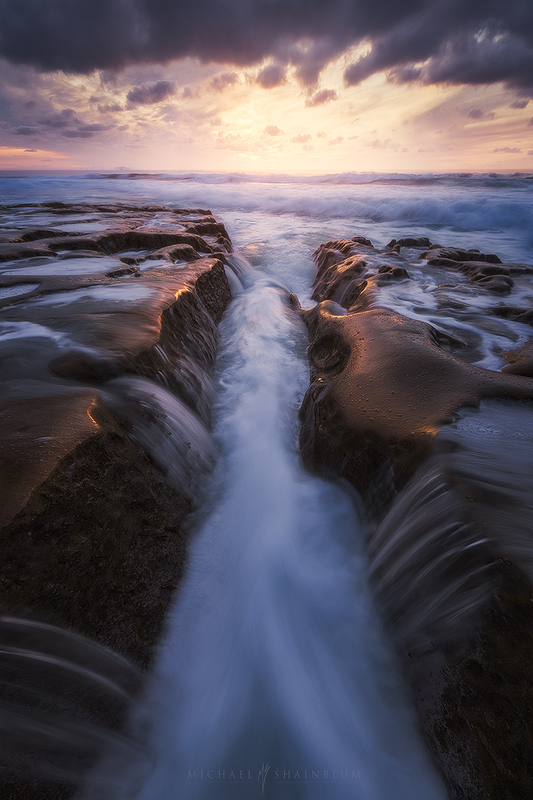 La Jolla Coves during a golden Sunset. 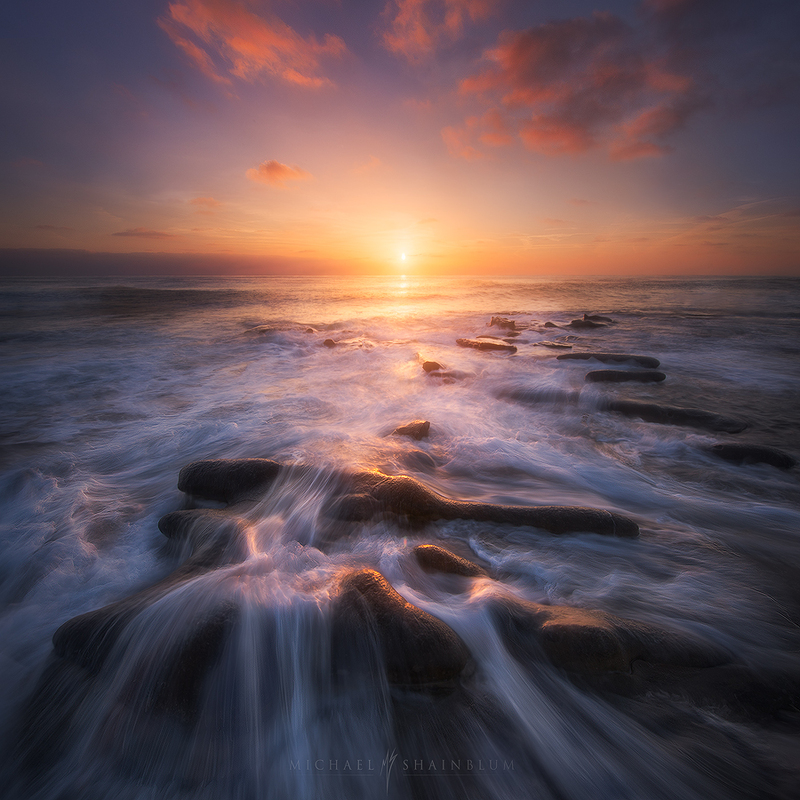 La Jolla Coves Sunset, San Diego CA. 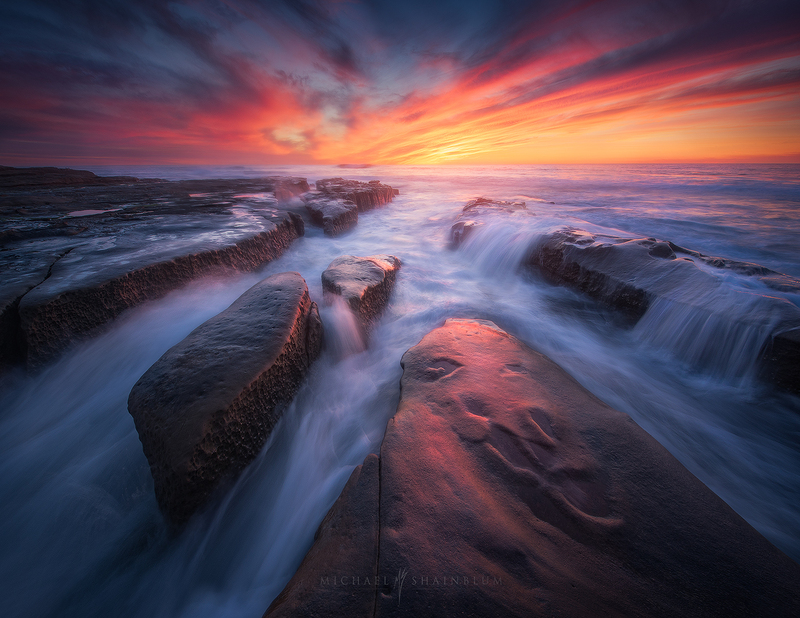 Taken in San Diego California. 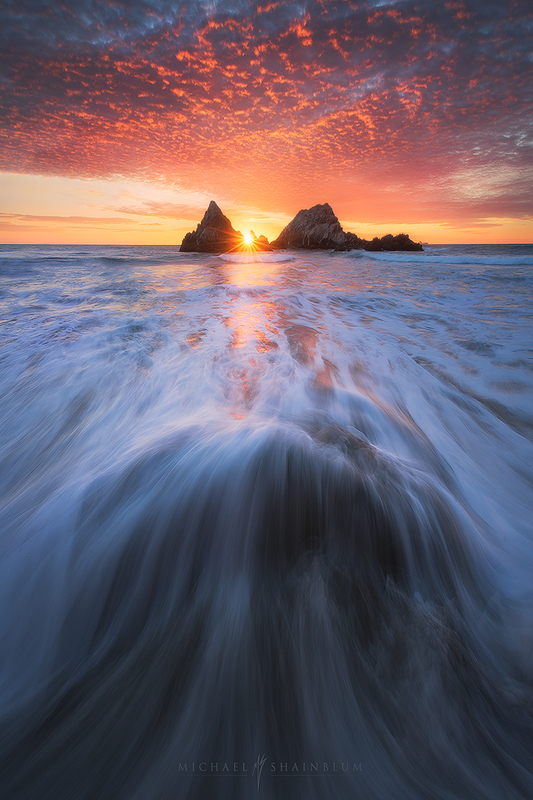 Grey Whale Cove at sunset. 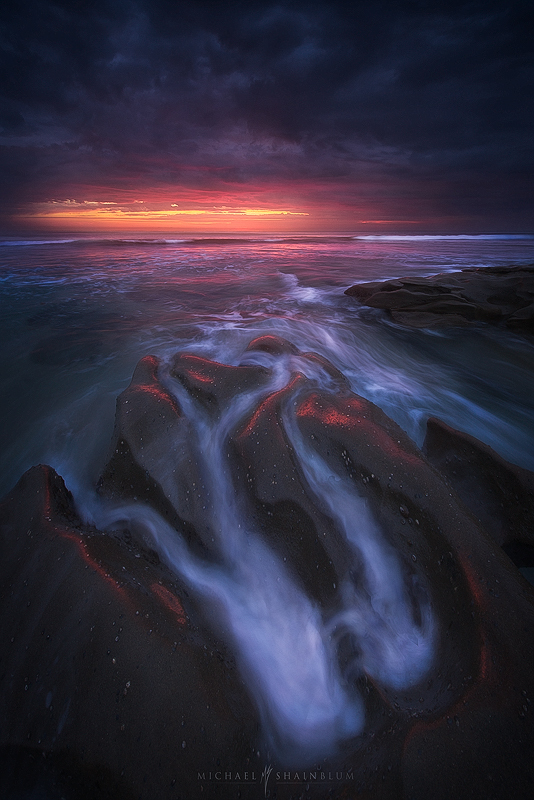 Stormy sunset at La Jolla Coves in San Diego California. 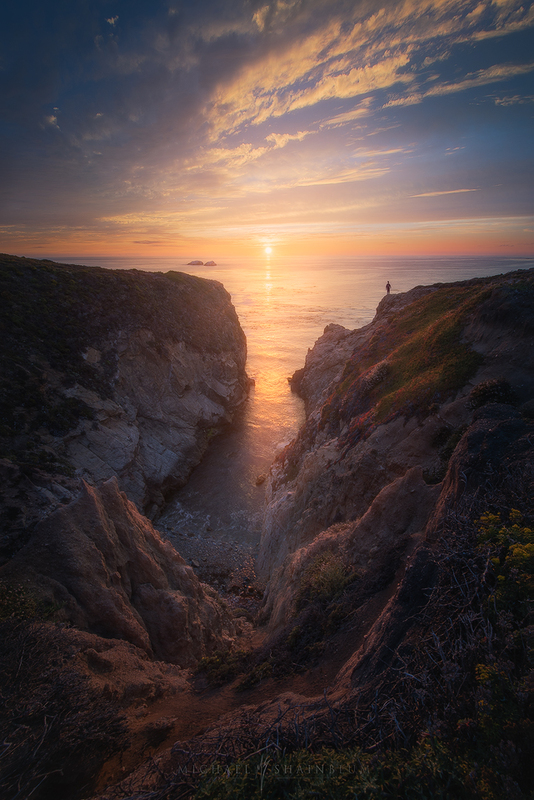 Davenport Cliffs during sunset in California. 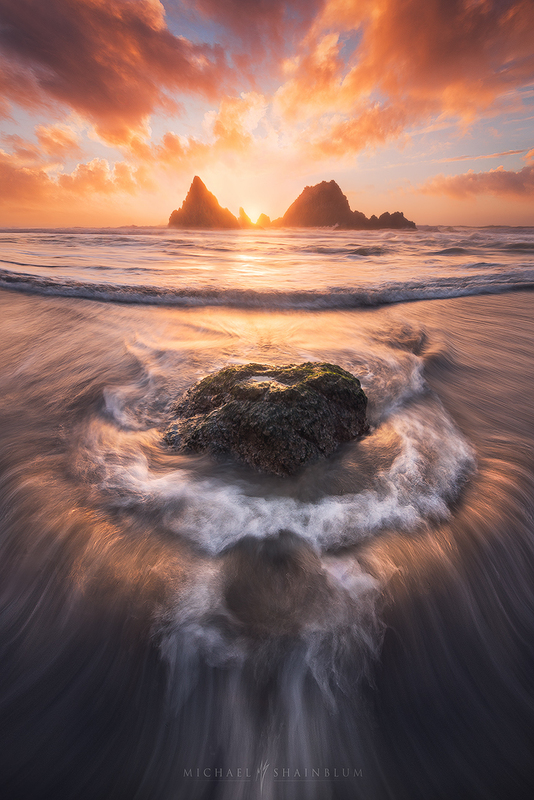 Sutro Baths, San Francisco Sunset. 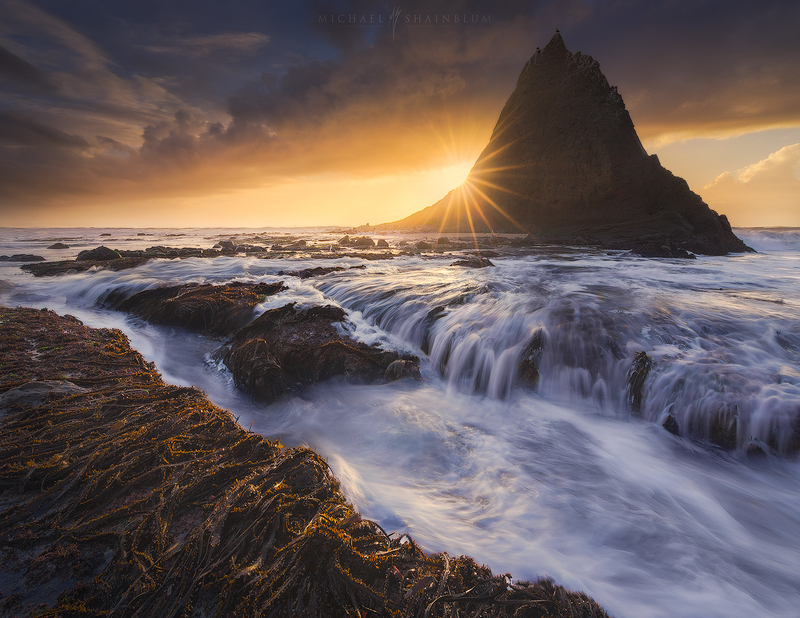 Beautiful pictures Michael. 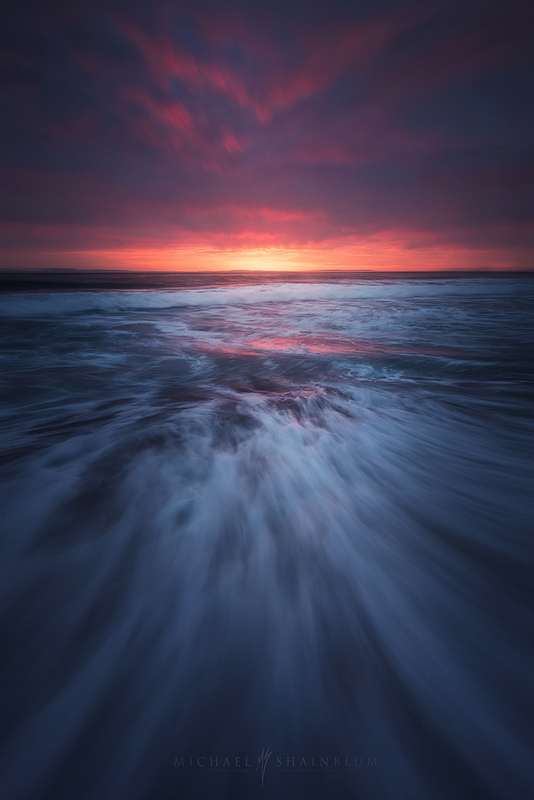 Keep it up .really enjoy them . 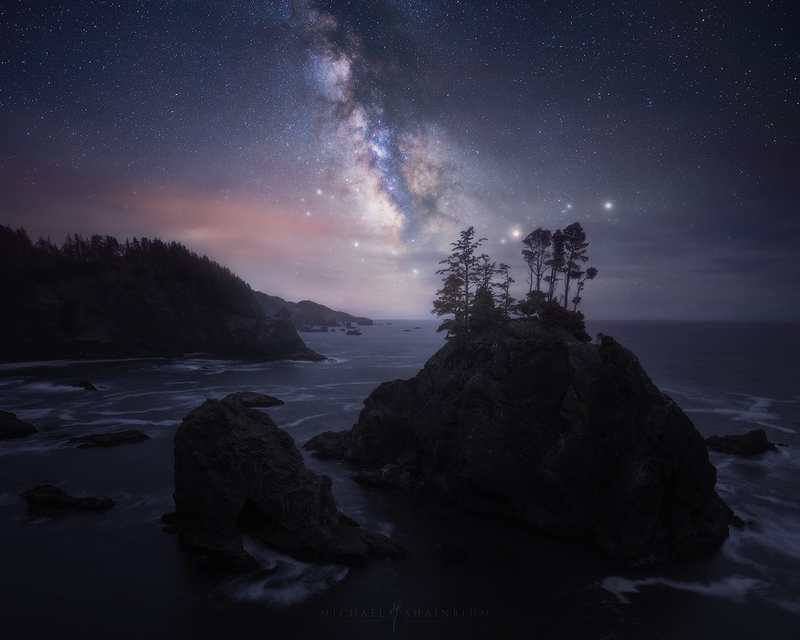 OMG, I am lost in your work, Michael! 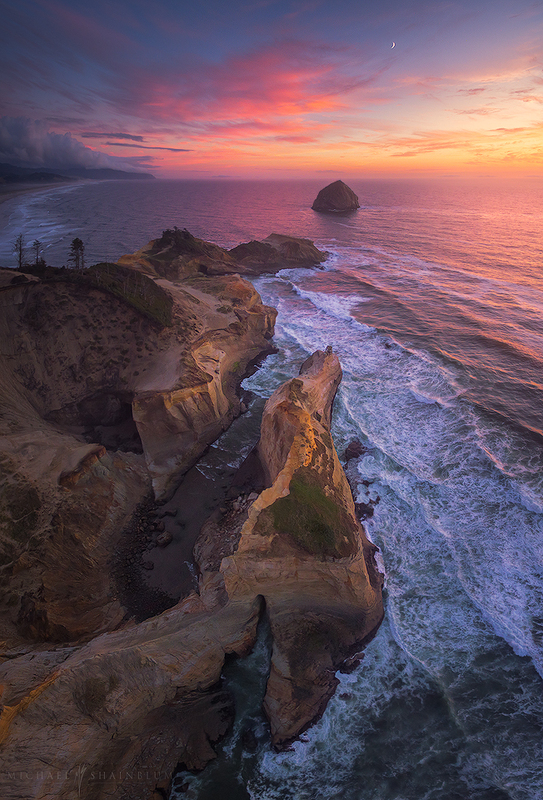 My cousin and photographer, Paul McConville, send me a link to RISE and in spite of being an Oregon resident, I was mesmerized from beginning to end. 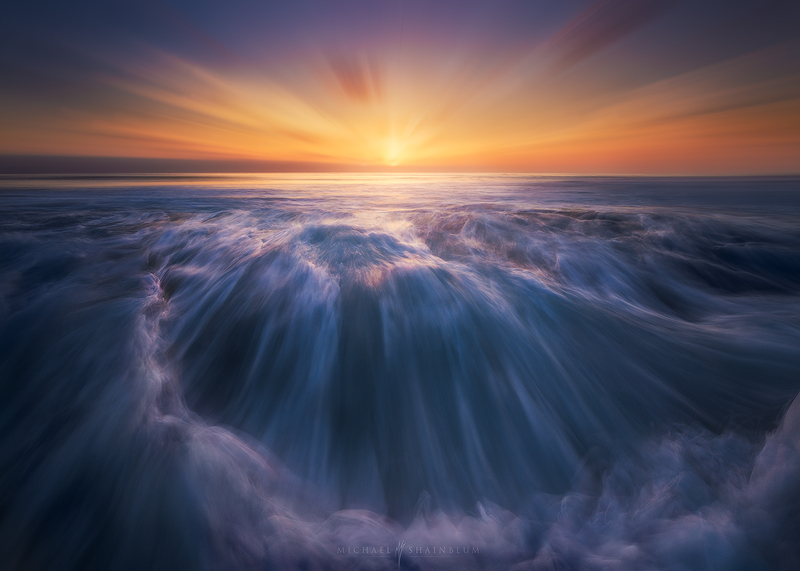 I have given this morning to combing through your online images and videos. 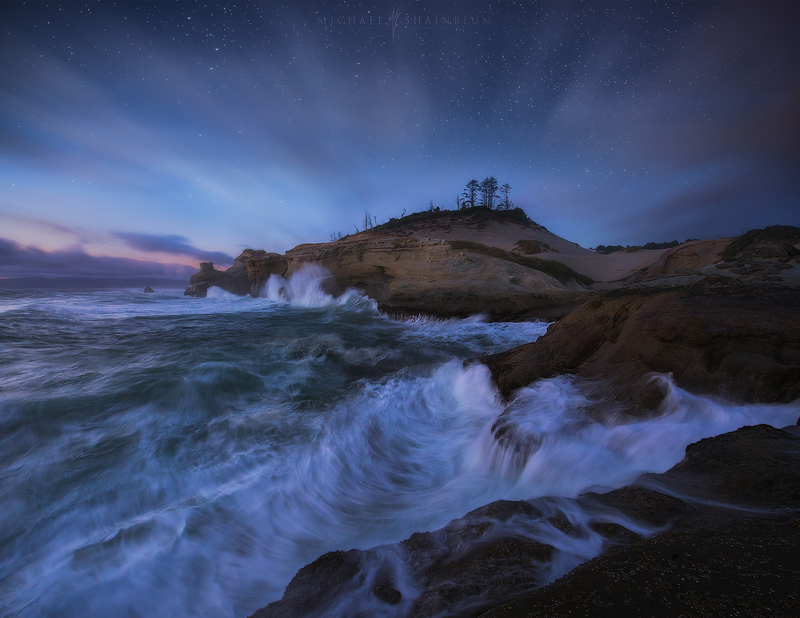 You do compelling work and I hope you will return to Oregon for more. 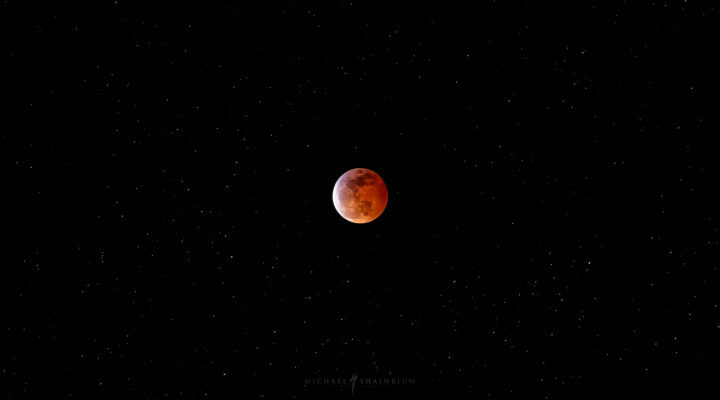 If you are ever interested in photographing cyclists, I’ve included my website which showcases my passion for helping women discover the joy of cycling 🙂 Cheers and happy holidays!